The Cleveland Scene has a review of a recent Barr Brothers live performance. The band, writes the Scene’s Eric Sandy, “blends old-world musical traditions with a knack for supreme rock ‘n’ roll songwriting.” Their live set in Cleveland was riveting, according to Sandy, and the group’s new harpist – Eveline Gregoire-Rousseau, who joined after the departure of founding member Sarah Pagé last year – was “marvelous.” Go here for the review. If you’re in Toronto or Montreal, you can catch the Barr Brothers at one of their upcoming stands in those cities. In each city, the band will play each of their three albums in their entirety over the course of three nights. 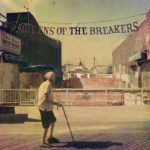 The Barr Brothers’ LP Queens Of The Breakers is available on our download site.